More comfort. More power. Fewer aches and pains. We focus on you as a human being instead of relying on formulas. In our Bike Fitting Berlin we dial in your setup according to a movement pattern that works for you. We perform an analysis of your existing fit and individual circumstances followed by a fundamental optimization of your position on your road, touring or commuter bike. Here we examine the foot-pedal-interaction and the saddle position in greater detail. We check the alignment of your lower extremities and take all the time needed to set you up perfectly. We offer this follow-up service to check on your new bike position. We monitor how your body is reacting to the change in the long-term, since we are of the firm opinion that the perfect bike position is a process, not a single event. We analyze your issues, physical abilities and particularities, as well as your individual challenges and goals on the bike. We utilize the gebioMized digital visualization system to measure the pressure distribution on your saddle and your hip stability while pedaling. We adjust the saddle position and the cockpit of your existing road, touring or commuter bike. Mit der Videoanalyse im Profil untersuchen wir deine The side view allows the detailed examination of your kinetics, enabling us to adjust your position for efficient pedaling. Mit der Videoanalyse frontal untersuchen wir die Using the frontal perspective we perform a detailed examination of the alignment of the lower extremities and the ankle stability. We examine your ankle movement and adjust your cleats for a more effective pedal stroke and increased shoe comfort. We take a look at and in your cycling shoes and provide advice on proper shoe sizing and recommended models. We measure your hip anatomy and sit bone width, followed by testing different saddle models for optimal pressure distribution. We’ll gladly advise you on appropriate saddle choices and test various models using saddle pressure measurement in the search for the perfect saddle for you, a critical aspect of the overall bike fit. We use different technical devices to analyse and mediate an objective, data-driven feedback. But in the you and your personal subjective feelings play the key role in our bike fitting service. The "perfect" position highly depends on your individual characteristics such as flexibility, strengths and weaknesses and also purpose of that position. That's why we want to involve you in our bike fitting process as much as possible. A profound “view” on your saddle. 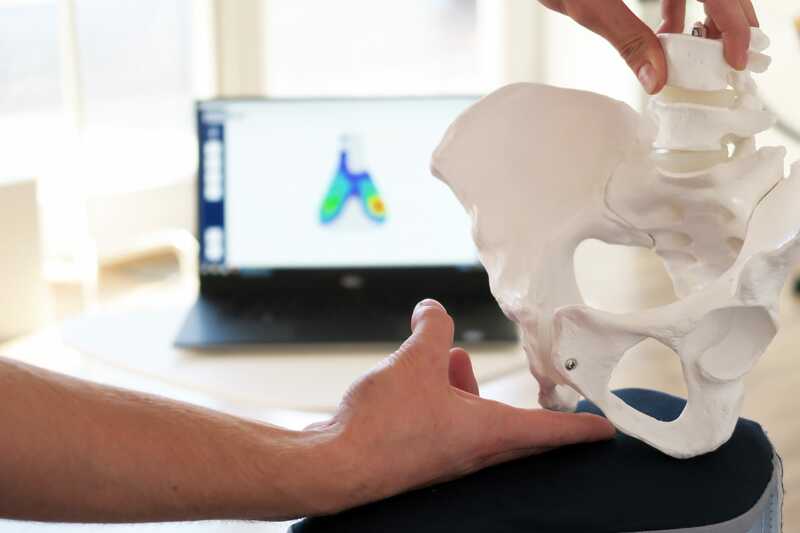 With the pressure mapping technology from GeBiomized, we are able to identify certain causes of many issues like saddle discomfort, knee pain and other things, where your hip placement and stability plays a major role. Not only the correct position but also the type of saddle we are using has a vast influence on your comfort and efficiency on the bike and this tool helps us to really get things dialed in. Reasons for certain pains or problems on the bike can be very complex and are not rarely to find in very small detailed adjustments. The correct placement of the foot plays a central role in the alignment of the lower extremity and thus influences nearly everything. Cleat positioning and shoe fit is something we really focus on within our bike fitting service in order to ensure maximum comfort on and off the bike. We here to advise you! Get in touch with us directly. That way we get to know your specific needs and together we can develop the best approach to meet your individual goals.